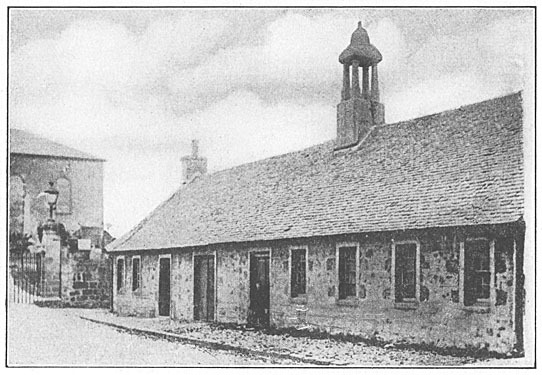 It is known that the burgh of Irvine had some responsibility for the upkeep of a school in 1560. In 1572, a burgh school at Kirkgatehead was endowed; it continued there until 1816. Known in some sources as the Old Grammar School, and in others as the Kailyard School. Throughout the 18th century the council consistently sought to provide good schooling – they paid the schoolmaster the maximum salary plus other fees and income, they employed extra members of staff, they improved the old building in 1724, after 1750 they completely rebuilt it, giving it two large rooms either side of a vestibule with a bell turret, and they added an extension in 1783. John Galt attended this school in 1787 for two years, and Edgar Allan Poe in the school’s last year (1815-16). 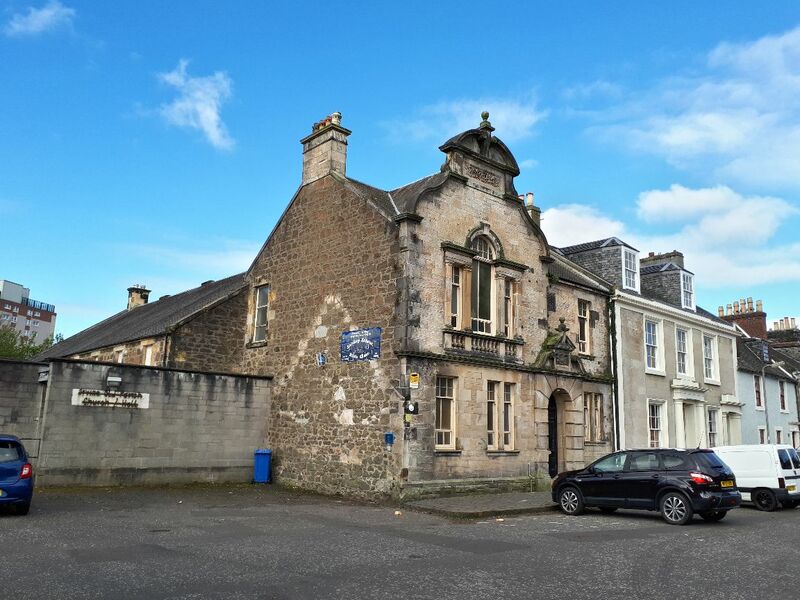 After 1816, the building was occupied by two free schools, by weavers, and from 1860 by the fire brigade; the line of its gable end can be seen in the adjoining building. The burgh school was replaced by an academy. The old building was demolished, by then boarded up, in the 1960s prior to the extension of the church hall (1968).